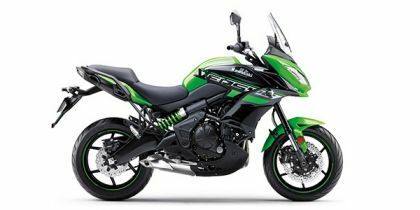 Share your experiences with Versys 650? Q. I am 5' 5". Will I be able to climb the bike easily and handle it stably I am more concerned about climb and getting down from the bike since it is 890 mm height. Please suggest. Versys 650 is good bcouze the cc is too much but in cheap rate,low vibration, high pickup and in 160 cc the ns 160 is too much goodddd..
Q. What colour variants and updates are expected for the 2019 model? No mechanical updates. Minor changes in color scheme.